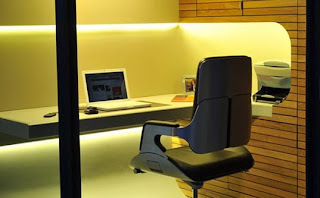 I just saw this fantastic prefab little office space on Inhabitat. I'm pretty sure I NEED one even though I live on an upper floor of a co-op building. Sadly, the OfficePOD is only produced in the UK and is a little pricey given VAT tax and shipping. O.K. all you brilliant prefab designers in the United States, here is an idea for you! With teleworking on the rise, and parents everywhere desparate to escape from their kids during the office day, this is a business just waiting to happen. I work from my shed here in CT. I built it myself and it has hardwood floors, drywall, insulation, a heater, window AC for the summer, cable tv, internet, etc. 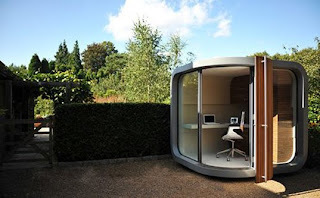 We don't need no stinking pod...just build yourself an office! FYI, the windows in that thing would turn it into a sauna in the summer. I want to have one of this prefab officepod.I need this. This is a must for me.I hope that this will be also in the bought in the Asian countries someday so I can save in buying one of this. i will submit myself here so I can be away from the noise of the kids in the house.I want to work her peacefully. This will be a treat for me and my sister-in-law.We always use computer like almost 24 hours.So this officePOd is a must for us. My family is planning on buying one of this if this will be in asia someday. This is a great escape in my messy space in the house.A perfect ventilation for me. For us here in the house this is a must.ALmost all of us are professionals. This is on top of my wish list.I hope that soon I will have this one. This is a must have things in the house.I wish that the price will less so that I can afford to buy this one. I will surely work so hard for this one.this is a must for me.Thanks for this post. 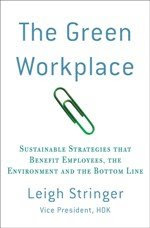 LIKE this.Thanks for your wonderful post.This is highly appreciated.I've searched this officepod more in yahoo because of my curiosity.Thanks. The post is really nice one and full of information we appreciate the kind of information you have provided in this post. The information are so useful for all of us and we would like to thank you from the bottom of our heart for this wonderful information.The things you have discussed about in this post which are supposed to be very helpful for us. Because of these wonderful information in this post the blog can be viewed again and again. Karen Millen shops provide exclusive personalization companies for girls dresses.